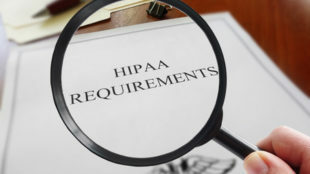 Amazon has announced six new HIPAA compliant Alexa skills have been developed and that the platform can transmit protected health information (PHI) in compliance with HIPAA requirements. Six different companies participated in the Amazon Alexa healthcare program and developed the new HIPAA compliant Alexa skills. the skills allow patients to schedule appointments, locate urgent care centers, get updates from their care providers, get their most recent blood sugar reading, and check on the status of their prescriptions. Alexa skills had previously been developed for certain healthcare purposes but applications were limited because the technology did not incorporate the necessary controls to make it HIPAA compliant, and consequently, Alexa could not be used with any protected health information. Amazon has now ensured data transfers are secured and incorporate the necessary security protections to protect patient privacy. Amazon will also sign business associate agreements with certain HIPAA covered entities who want to develop new Alexa skills, although at this stage Amazon is pertaining on an invite-only basis. The objective of developing the new skills is to enable patients, health plan members and caregivers to use Amazon Alexa for managing healthcare in a home environment by means of voice commands. The skills help patients accomplish healthcare-associated tasks, access their health information, and communicate with their healthcare providers. This skill allows members of Express Scripts pharmacy services to learn the status of their home prescription deliveries. Members can also request Alexa to issue notifications as soon as prescriptions are delivered. 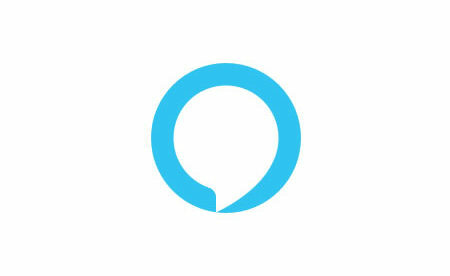 This Alexa Skill allows employees in a Cigna health plan to check their wellness program targets, get health tips, and obtain more details on rewards. This Alexa Skill allows parents and caregivers of children who are enrolled in Boston Children’s Hospital’s ERAS program to give recovery progress updates to their care teams. Care teams could also send details of post-op visits and pre- and post-op advice. Those who have joined the Livongo’s Diabetes Program can ask about their most recent blood sugar reading from their Alexa device, receive blood sugar monitoring trend information and get individualized health tips via their device. This Alexa skill allows Atrium Health’s patients to discover the nearest urgent care locations and book same-day appointments, learn about opening hours and waiting times. The Alexa skill is initially being offered to North and South Carolina customers. This Alexa skill was created by Providence St. Joseph Health and enables patients to locate Swedish Express Care Clinics in their area and book same day appointments in 37 of its clinics on the west coast.